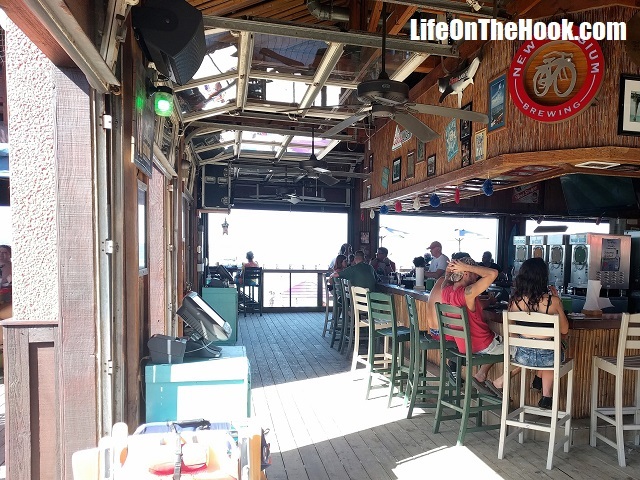 For a variety of reasons, we think that Pensacola is a wonderful place to spend our off–season. 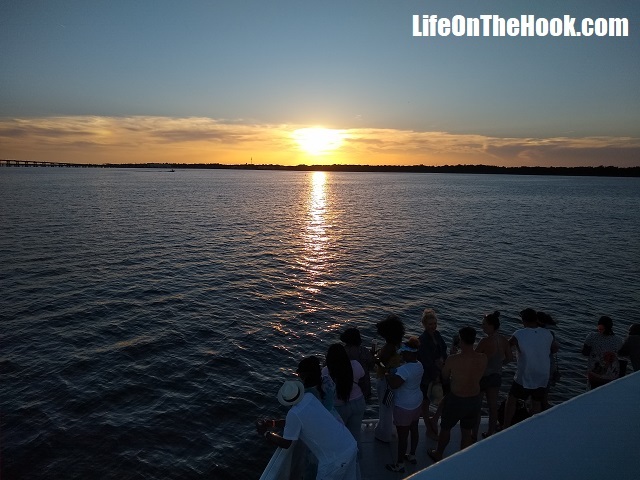 In addition to having family and friends here, we have some great marinas with affordable rates, and unlike most of Florida, many have no waiting lists to obtain a slip. There are some pretty good marine tradespeople around to help with those projects that are just too much for us to handle alone, and many of the boatyards will let you do your own work, which can save a ton of money. But the thing that really makes it shine is that it also offers a good variety of interesting things to see or do while we wait out the season. For instance, here’s how we spent last Saturday. 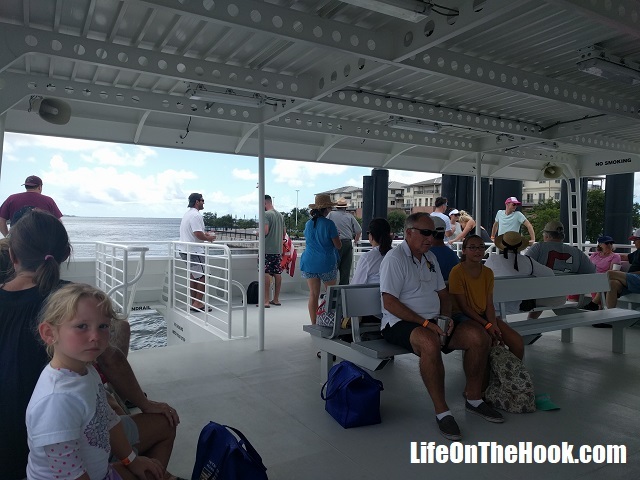 This past June, a new ferry service began that runs between downtown Pensacola, historic Ft Pickens in the Gulf Islands National Seashore, and Pensacola Beach. 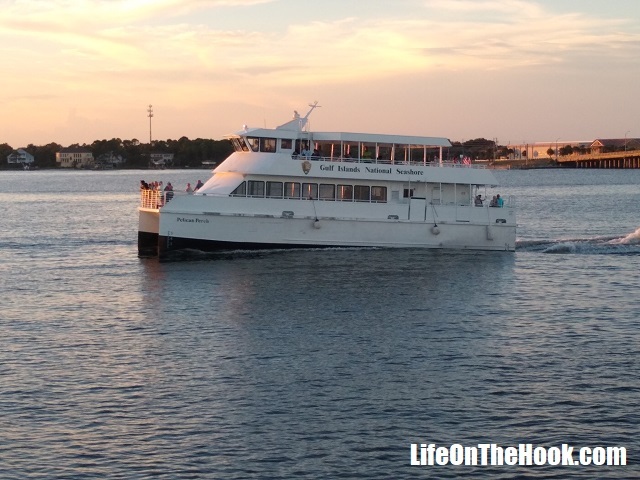 The cost is $20 pp for an all-day, hop-on-hop-off ferry ride between the three destinations. Since it just started operating a little over six weeks ago, we hadn’t yet made time to check it out. 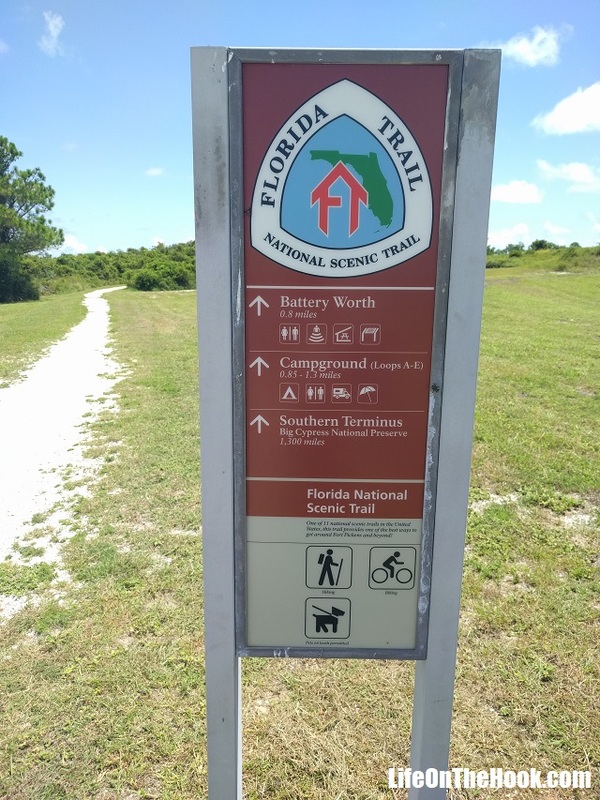 But when we saw that the National Park Service was going to be hosting the Walton Guard, a group of Civil War re-enactors, at Ft Pickens, with demonstrations of Civil War era camp life, music and live firing of cannons and rifles, we decided the time had come. It’s only a three minute walk from our slip to the ferry dock. Since the service is brand new, their ticket booth and boarding area are still under construction. 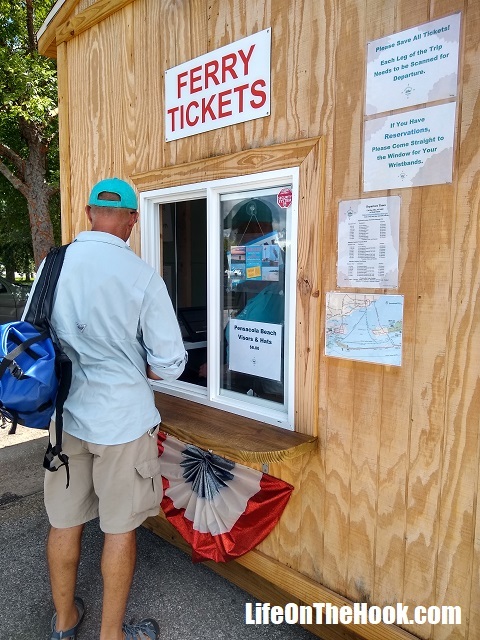 so we stepped up to their portable trailer to buy tickets for the 1130 crossing to Ft. Pickens. Located on the western tip of Santa Rosa Island, the fort was built prior to the Civil War and operated until after the Second World War. It was a trip of about 40 minutes. 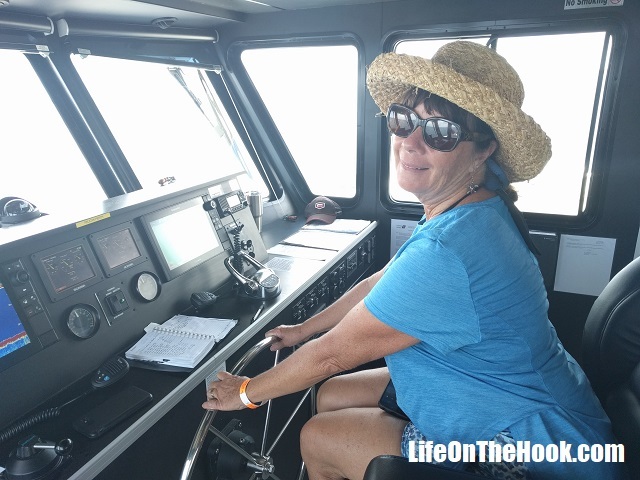 Being full time mariners, we naturally had to visit the pilot house, and the captain let both Rhonda and I drive. We much prefer the feel of the helm on Eagle Too. 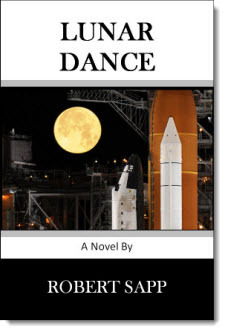 With her blade rudder and fin keel, she steers like a sports car, while the ferry had a very heavy helm and felt like we were driving a tank. We had a little over three hours to explore the fort and enjoy the demonstrations of Civil War life. Click on any picture in the gallery to enlarge. It had been years since Rhonda and I had visited the Fort, and since we’re sort of history buffs, we really enjoyed it. The highlights were the live fire demonstrations of period muskets and a 10 pound Parrott gun. 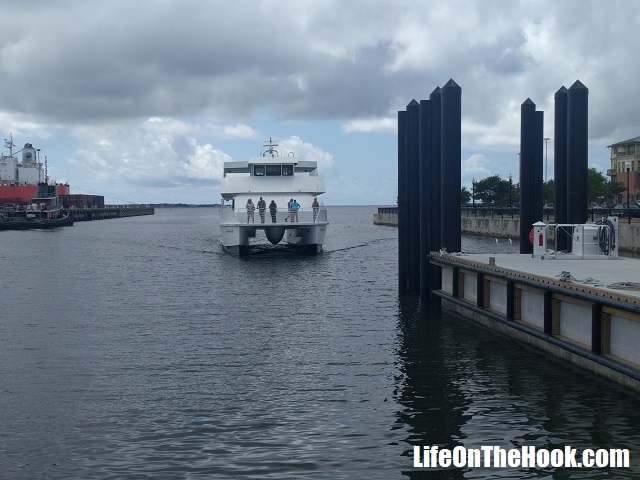 There was still much to see at the fort, but our ride to Pensacola Beach arrived and it was time to go. 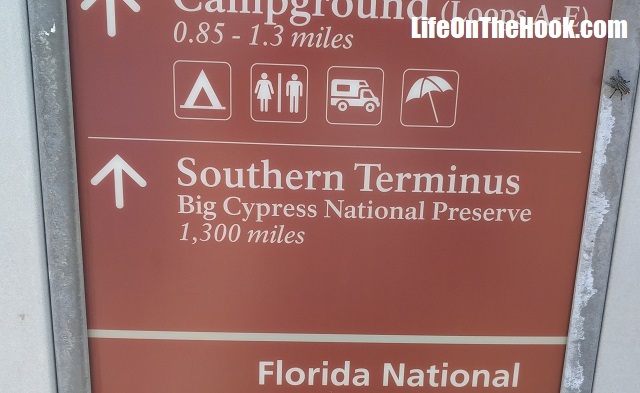 Maybe if we’d had more time, we could have tried hiking the Florida National Scenic Trail, which begins in the park. It was a bit of a walk to the other end though, so maybe we’ll have to save that for another time. 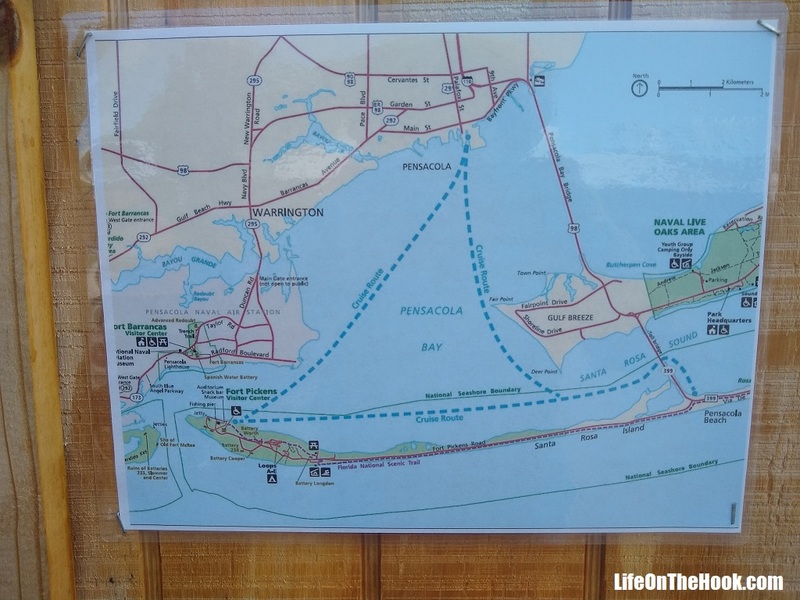 We boarded the 3:30 PM ferry from Ft Pickens to Pensacola Beach with dinner on our minds. It was another 45 minute trip, and the weather couldn’t have been better. 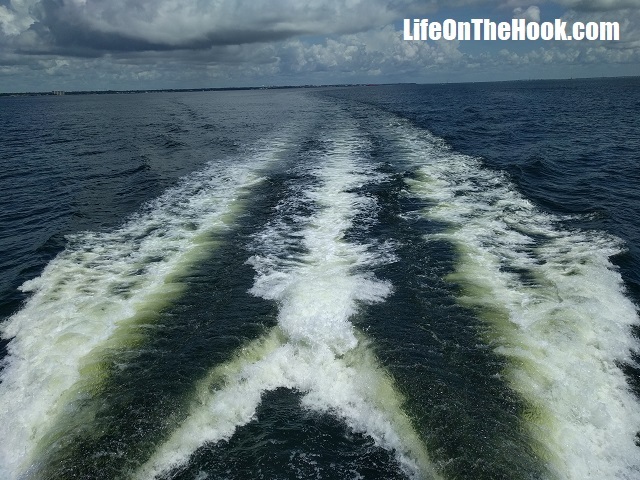 After several days of rain, the skies had cleared and a fresh sea breeze kept it comfortably cool on the water. 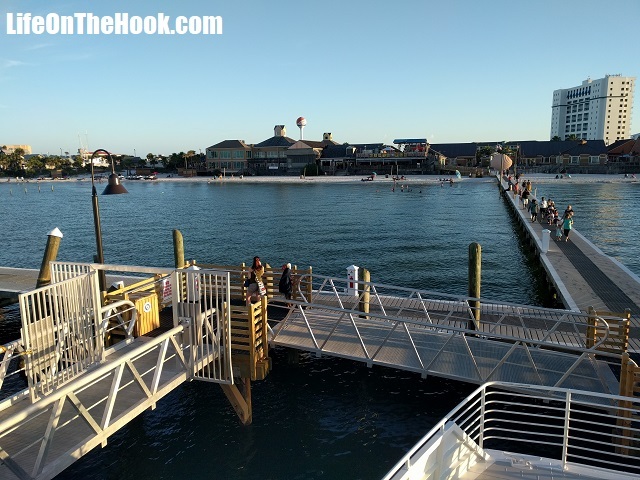 …we walked the half-mile to the Margaritaville Beach Hotel for dinner at Frank and Lola’s. It’s a favorite of ours, and since we still have our original local’s cards from their grand opening several years ago, we get 15% off our meals! We had a relaxing dinner (and some excellent Mojitos! 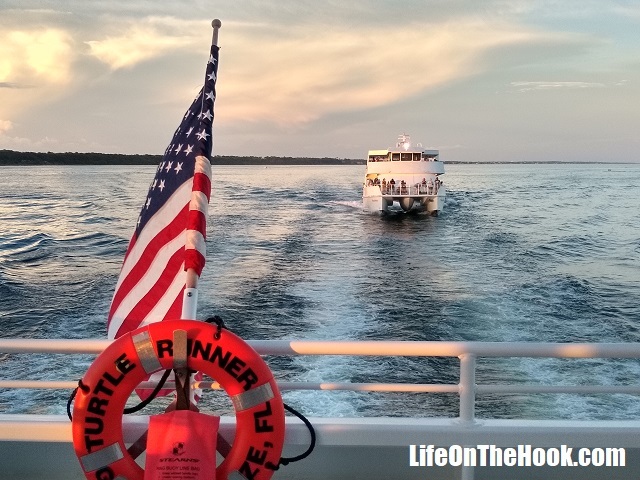 ), and then it was time to catch the sunset ferry back to downtown Pensacola. Our return trip turned into a ferry race, as the other of the two ferries that operate on the bay chased us down and eventually overtook us. 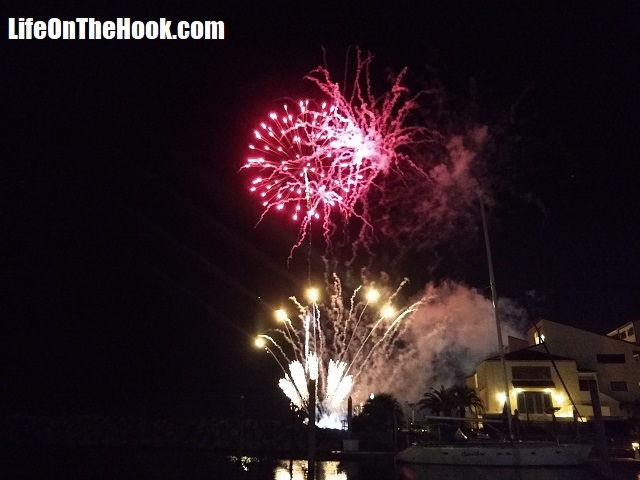 To cap off our day, once back onboard Eagle Too, we fixed some cocktails and retired to our cockpit, where we were treated to another fireworks display put on by the Blue Wahoos, our home town AA league baseball team whose stadium is right next door to our marina. This entry was posted in Where? 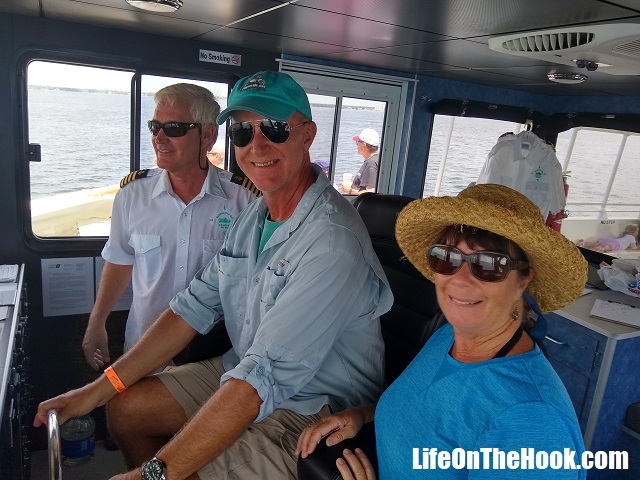 and tagged Easy living, Summer in Pensacola, Visit Pensacola, Waiting out hurricane season on August 8, 2018 by Robert.